Ausdart Picture Framing is a well-established business and has been providing quality framing for over twenty-five years. 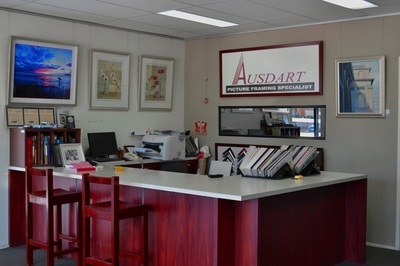 Specializing in custom framing ideal for residential, corporate, conservation framing, we are very highly regarded for our Framing solutions, unique design, product range, craftsmanship and our friendly and reliable service. 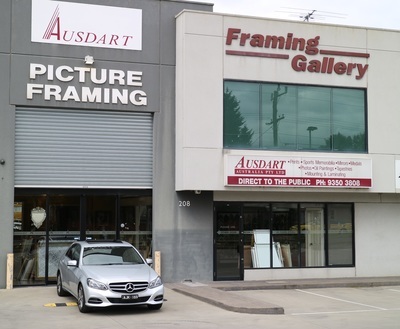 We provide a complete range of services; wholesale, corporate, factory, shopfront or retail for all your framing needs. Please call in for a visit. Large varieties of top quality ready made frames and framed mirrors are in stock all the time enable us to do a fast service while customer is in waiting. Conservation Framing (using museum grade materials such as cotton rag matt boards, museum glass and all accessories.